Please note that the graph sizes have been reduced to facilitate faster loading. Back in the saddle with a vengance! A short Robben Island swim (to Blaauwbergstrand) on Tuesday, and a 9km swim on Sunday (6 x 1500m @ about 25 mins; 1 min rest between each) got the mileage up. Oh yes - and consistency is the key! 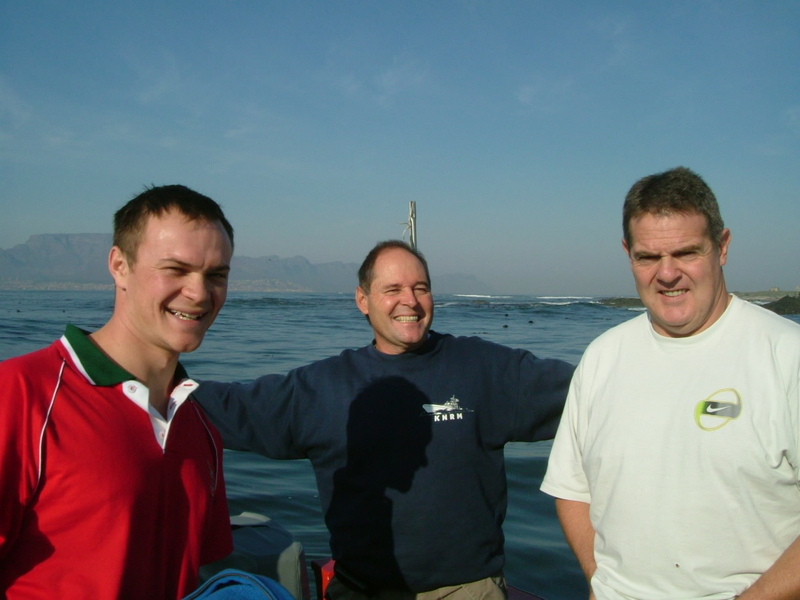 The Tuesday Robben Island swim was to accompany Schalk on his first crossing. A beautiful day, flat water & sun on our back made for a comfortable swim of 2hours 20 mins - certainly a respectable time for first-timer Schalk who, I have no doubt, will be back for more soon. Schalk’s commitment is borne out by his training for the event in a fresh water outdoor pool in Johannesburg, which will have been at lower temperatures than the 14 degrees we swam in on Tuesday. What’s the water temperature in Newlands pool these days? Do you find that that the cold water is on your mind from start to finish? I haven’t been in Newlands for about 3 weeks. The Pavillion at Sea Point (salt water) has been about 15 - 15.5 recently, so Newlands is probably about the same. However the freshwater pools typically feel colder than salt water. The cold doesn’t bother me much - usually just minor discomfort getting into the water. However I often get a headache getting into the sea if the temp. is 14 degrees or less eg at Clifton; if it’s that cold I swim with my face out of the water (water polo style) until the ice-pick in the forehead goes away. On a longer swim you can distract yourself watching the goosbumps coming up on your forearms as you swim, and also with the way your little fingers develop a mind of their own. After a couple of hours in cold water, they typically “detach” themselves from the rest of your hand & float around, leaving you to swim with 3-fingered hands! How about some foto’s to post here on the website?